It is extremely important to ensure your social media posts are optimized for mobile use. According to official Google statements, more than 50% of searches completely are coming from mobile devices. If your posts aren’t coming across on a mobile device, the user will get impatient and find someone else. This is crucial to obtain higher engagement and increased sales conversion for your brand. Your content needs to be created so that mobile users can interact with the chosen forum without waiting or adapting to you. Here a few tips to optimize your content and stay current with your followers. Space is limited! Limit your text and include images. The more visually stimulating for the mobile user, the more likely they will stay on your site and browse, potentially converting to customers. Your text and image should blend well. Engage, engage, engage! Change your Facebook page to implement a call to action button that allows users to actually call you with a click. Ask your users questions. The more you engage, the more you will show in news feeds and your audience will grow. Ask your audience a question that is fun to answer. Consider raffles or contests. Encourage customers to check in and write reviews. Other people will see it and may want to check out your business, thus increase your customer base. Perhaps you can offer small incentives for check-ins (5% off for checking in to your location; 15% off every Tuesday check-in, are two suggestions). Mobile users of Twitter are more likely to be on Twitter several times a day. They are also 44% more likely to use clicks posted on Tweets. This is a great way to channel this type of marketing. Use your logo on all of your social media platforms. It will make you recognizable and easy to find. Don’t ignore your profiles! Keep it short, sweet and concise. Make sure your profile immediately explains your business. Keep it engaging so people want to be follow you. Be interesting and catchy when describing your business. Hashtags are a super useful marketing tool in the social media world, especially with Twitter users as they make use of hashtags to keep track of news and trends. When creating your posts, be sure to utilize hashtags that maximize your exposure. For more useful tips regarding hashtags, click here. Don’t over look other social media platforms but especially don’t overlook your website. Ensure your website is up with the times and trends of technology, remembering that most users are utilizing there mobile device to view your website. Your call to action button needs to be easy for users to access. If your website and social media platforms are not mobile friendly, users will get bored and impatient and will leave your site and find another to browse. Make sure you give the customer what they want and in the long run, you as a business owner will get what you want! Promoting your business on social media is not as easy as it looks and seems. 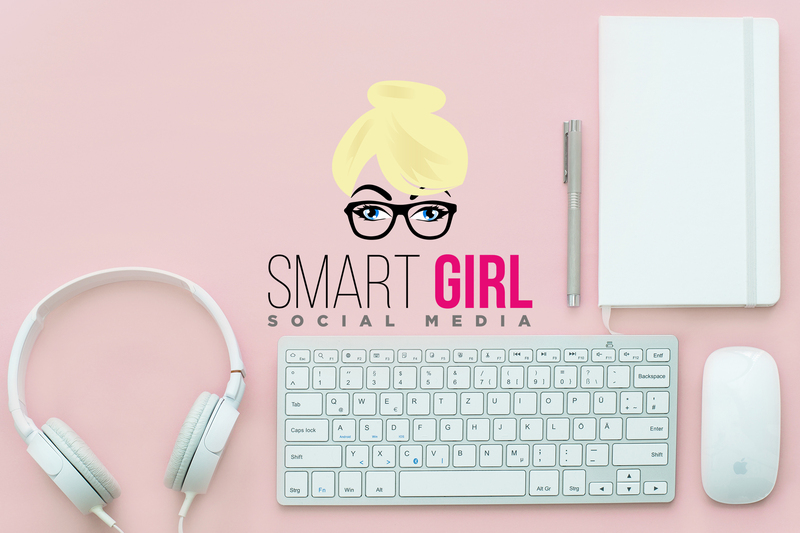 Smart Girl Social Media is here to help! Call me with any questions. And, as always, I am eager to provide a consultation or help give your social media pages a boost! Let Smart Girl Social Media help! Contact me for more information!